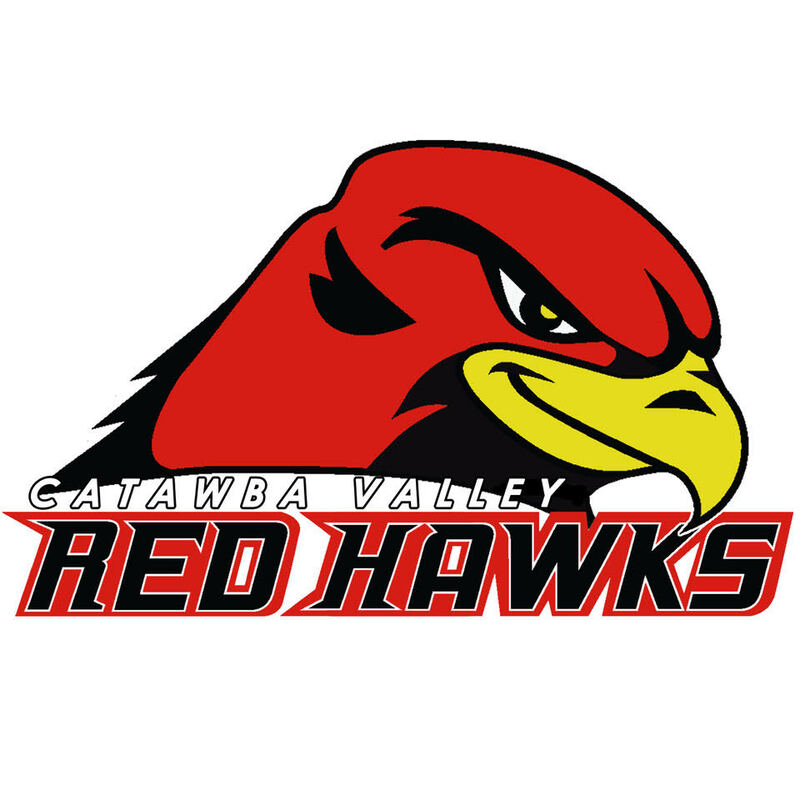 HICKORY — Celebrating 10 years of the program, the Catawba Valley Community College (CVCC) baseball team enters 2019 with hopes of commemorating its decade-long run with a special season. 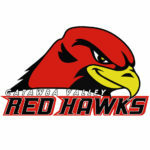 “We are excited to get started,” said Paul Rozzelle, who enters his fifth season as the head coach and ninth season overall with the Red Hawks. “We are excited to play somebody else other than ourselves. “I think our guys have prepared and done a good job up to this point, but at some point you want to play somebody that isn’t your teammate. CVCC is coming off a 42-16 record that included going 18-7 in Region X. The Red Hawks went 27-7 at home, playing their games at the Legion Fairgrounds in Newton (as they will again this season). This year’s CVCC team features six sophomore captains — shortstop Garrison Burress (Granite Falls), catcher Brett Macchia (Hudson), first baseman Tyler Campbell (East Bend) and pitchers Trae Starnes (Taylorsville), Chase Covington (Troutman) and Nic Messina (Gardiner, N.Y.). All six athletes will play a vital role in the success of this year’s team, Rozzelle said. Those six sophomores return along with seven other players who saw playing time last season — outfielder Rod Munoz, catcher Willie Gordon, infielder R.J. Conner, third baseman Grant Tilley and pitchers Timothy Davila, Greg Collins and Chris Banks. Rozzelle said he’s impressed by his sophomore leaders, and he expects several veteran players to make leaps this year. “You see a lot of sophomores take big steps because they have a season under their belt,” he said. “They have some confidence about what they are doing as well as their preparation and abilities. The Red Hawks also have several impact sophomore transfers, including pitcher Logan Bender, an All-American and Big South Freshman of the Year at Campbell last spring. He has signed to play at N.C. State next spring. “When you get transfers that always helps,” Rozzelle said. “You have guys that are transferring for whatever reason — whether it’s a new opportunity, a fresh start or they weren’t getting the looks that they wanted to at their previous schools. Rozzelle said his team’s biggest strength is its pitching staff, but there are some questions that have to be answered as the season goes on. “On the mound, we feel really good about what we’ve got,” he said. “We are very, very deep. The only question on the mound for us is trying to figure out who is going to start. We’ve got a ton of good arms, but we’ve got to figure out who can fall into that starter role and have the ability to turn a line up over twice and hopefully even a third time. We’ve got to figure that part out. The Red Hawks are also expected to be solid defensively but they’re likely to have a different look after setting records last season for runs (441), RBI (383) and home runs (65). “Offensively, I don’t know if we are going to put up the same numbers as last season, but I think we are going to be a more competitive team hitting wise,” Rozzelle said. “I think we are going to put nine guys out there who are tough outs. To me, that means a lot. “That’s something we strive to do in the off season and in the fall. We try get to better there. We don’t necessarily want to have to wait around for the big homer. “We want an opposing pitcher to know that he’s going to have to work, and he’s going to have to execute all of his pitches to be able to get us out. “We’ll kind of have to wait to see what the offense looks like. In our early intrasquads, the guys who are going to be getting playing time early have done extremely well. It’s going to be a different look, but a fun one to watch. Guys are going to be putting the ball in play and battling their tail off. Perhaps the biggest x-factor for the Red Hawks will be the unknown and seeing who emerges to provide sparks on the mound and at the plate. “Who is going to step? Every year, somebody does,” Rozzelle said. “You don’t expect it or know it’s coming. Out of the blue, somebody puts up unbelievable numbers. This season, the Red Hawks’ motto is ‘Take Down the Buffalo’ — a slogan Rozzelle came up with after being inspired by Sam Houston State baseball coach Matt Deggs. “It’s really about having a wolfpack mentality,” Rozzelle said of the motto. “Everyone has a role to play. When a wolf is out on a hunt, every wolf has a certain job. If one of the wolves doesn’t do their job or part, the pack suffers. “Maybe that is our buffalo for the day. What is our task that we have to get accomplished? “Our guys have been buying into that this season, and I’m excited to see it develop and grow. It’s become a nice moniker for us. It reminds guys of what we are here to do. 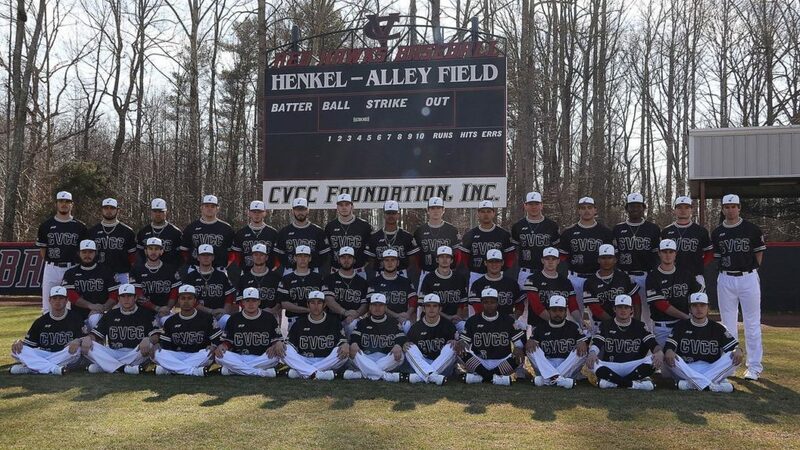 CVCC’s home opener is Feb. 19 against Lenoir-Rhyne University’s junior varsity. The second series of the season is against a powerhouse in National Junior College Athletic Association (NJCAA) Division national runner up Walters State — a program Rozzelle says the Red Hawks have tried to model themselves after. Following its first three season series, the Red Hawks start conference play on Feb. 23 against Region X’s newest addition, Paul D. Camp. “Our conference is extremely deep,” Rozzelle said. “Junior college baseball has gotten better over the past 10 years because players are realizing that it’s a viable option. Yes, we are getting more talented players, but so is everyone else. It makes the weekends competitive and fun. “Really anybody in our league can beat anybody every weekend. Walking in and thinking you’ve got three wins is out the door now in our league, which in years past wasn’t the case. The Red Hawks will have a special day/night doubleheader on April 6 against Southeastern Community College. The day game is at L.P. Frans Stadium — the home of the Single-A Hickory Crawdads — and the night game is at Henkel-Alley Field at the Legion Fairgrounds in Newton. 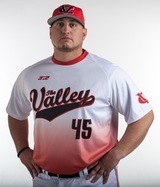 During the day game, CVCC will honor three of its All-American players in Bryson Bowman, Danny Sullivan and Julian Smith and also unveil an All-Decade Team to commemorate its 10th Anniversary season — the first of many events planned during the spring to honor the program’s growing legacy.